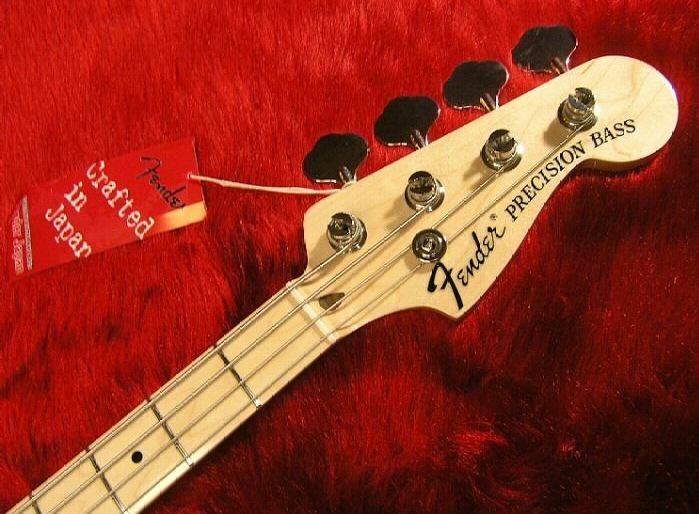 Look at this gorgeous thing: a Crafted in Japan Fender 1970 Reissue Precision Bass! This one was made in 2006 and has a clear finish over its ash body, and a maple fretboard. They have been building these for quite awhile overseas, but only recently started importing these basses for the US market. I have not always been a fan of natural finish basses, but this one really nails the 70s P-Bass vibe and it calls to me. The logo looks right and the rest of the features are spot on. With a tortoise-shell pickguard it would be perfect. 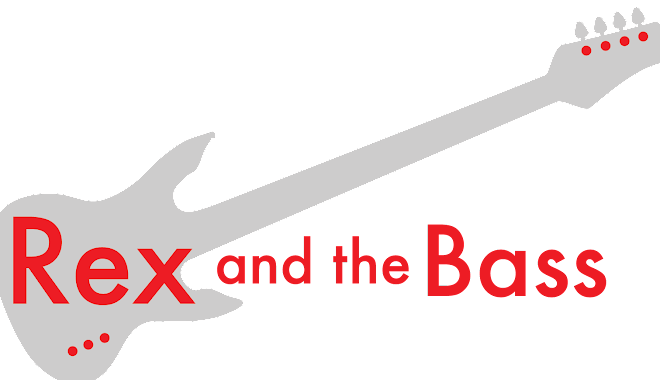 It is a well-made bass, with a very playable neck that feels just a tad thinner than the usual Precision bass profile. 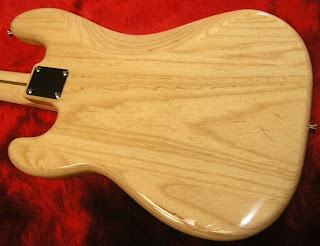 The finish is even and the frets are very nicely done. The hardware appears to have been supplied by Gotoh, but the tuners and bridge are exact Fender replicas, and I see no problems with them. 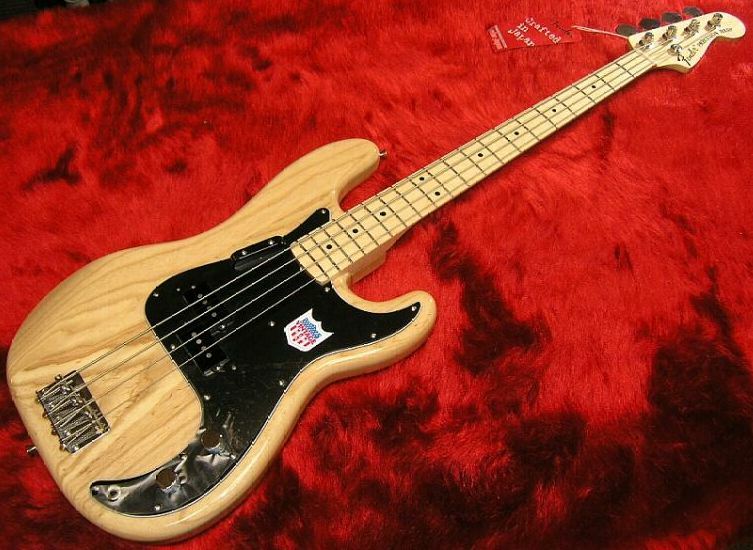 The model number for this bass is PB70-93US, meaning that it originally sold for 93,000 Yen (about $1000), and that it was built with US-made Fender pickups. The US-made pickups are a bonus for me, as on occasion I have felt that the electronics were not up to snuff on the Japanese Fenders (my only quibble with their instruments). 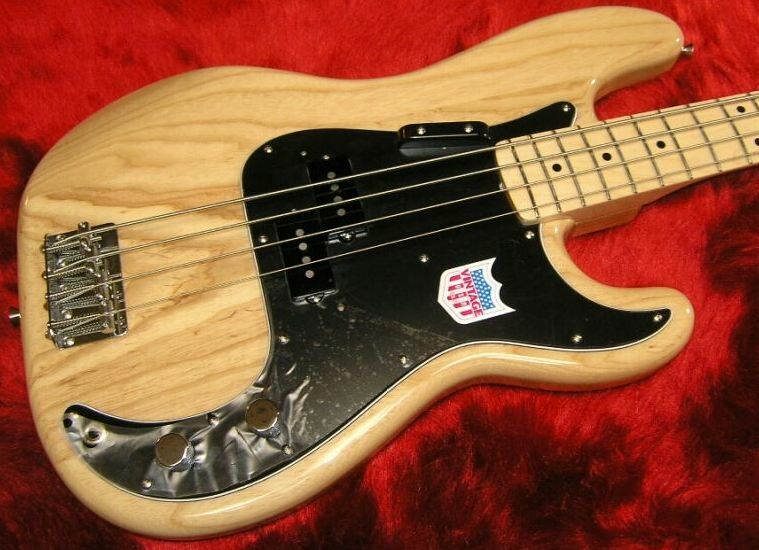 This 1970 re-issue Precision Bass plays very well, and hads a great tone, with very quiet electronics. As a bonus it weighs about 8 ¾ pounds. This is a coupl of pound lighter than any 1970s-vintage Precision Bass I have played before. Now that they are selling these Japanese P Basses in the states, you might want to check into one; they are well worth the money. That's a sweet looking bass. Where did you find this one? I have one of these but with chrome pick-up and bridge covers. I play it with roundwounds and I'll never play another bass again. This thing is substantial, weighing in around 13 pounds, and the lacquer finish means it plays like a dream.